Dr Lox treats musculoskeletal pain and has been in practice for over 20 years. He has been preforming stem cell therapy for severla years with great success. Dr. Lox is located in the Tampa Bay area. An interesting article came out online over the past few days in the current issue of Practical Pain Management, entitled Advances in Regenerative Medicine:High-Density Platelet-rich Plasma and Stem Cell Prolotherapy for Musculoskeletal Pain. It provides a detailed, yet readable, view of this cutting-edge procedure that is growing in use and acceptance. 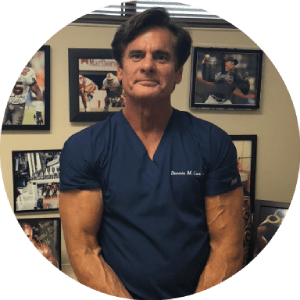 Dr. Dennis M Lox has been preforming stem cell and prp therapy with great success for several years. Dr. Lox is located in the Tampa Bay area in Clearwater, FL .